peer reviewed contributions to our field! 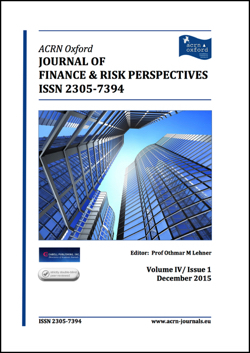 Volume 6, Issue 4: … free online access to latest research in Finance, Risk and Accounting! Abstract: The paper proposes a framework that can be utilized for deciding upon the optimal scale of operations for a firm. The basic premise of the paper is that a firm that operates in a stable economic environment and a stable mode of business operations experiences a varying elasticity of scale that, after some scale level, becomes less than one and continues to decline with further increases in scale. A firm operating in such a stable system can search for its optimal scale of operations. The paper's premise does not refute the possibility that a firm can experience a shift from a lower elasticity of scale to a higher one; but this shift is not part of the mechanics of a stable system. Rather, it is due to some shock to the economic environment and/or the firm's mode of operations. Firms that operate under the assumption that they face a constant elasticity of scale, when in fact the elasticity varies, expose themselves to detrimental consequences. The model is in congruence with the Tobin's q criteria and can shed some light on why average q is a poor estimate for marginal q. The model sheds some light on the small-firm effect and on a major difference between internal and external growth. Problem/ Relevance - As impact investing continues to grow, it will see economies of scale and the management of larger pools of capital in portfolios. This makes it possible to fund a wider variety of social and environmental initiatives, but also means that managing the challenges particular to impact investing become increasingly important. 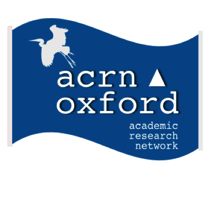 Research Objective/Questions - What happens after impact measurement? What challenges remain in the analysis of cost, risk, and joint impact-financial net returns that will be unique to impact investment portfolios? Methodology - Our conceptual view of portfolio management for impact portfolios focuses primarily on two difficulties at scale – subjective judgment and investor value heterogeneity. Major Findings - New tools capable of addressing value heterogeneity and subjectivity in decision-making are necessary to capture vital cost savings at scale and avoid limits on the impact that can be pursued. Regarding potential solutions, there is strategic opportunity in utilizing transparency, dialogic accounting, and democratic values in portfolio management. Implications - Existing tools could be adapted to the space to foster greater preference aggregation. To enable both market building and robust research, there is a need for additional transparency about current impact investment portfolio allocations and the decision-making processes that are used to set these allocations. Problem/Relevance - The paper presents a scientific model of interrelationship between money, finance, and real economy by way of banks, such as Islamic banks, mobilizing the bank-savings into productive spending with moral and ethical values. Such moral and ethical values are embedded in the monetary and financing relations to give the model of monetary reform necessary for an unstable financial economy.. The way to realize this goal is to refer to the Islamic epistemic foundation of unity of relations between the good things of life, while avoiding the un-recommended ones. Such good things are specified in this paper as money, spending, real economy resource mobilization along with their inner variables. All of these unitary relations are made possible by phasing out interest rate and thereby causing monetary resource to interrelate with real resources. Research Objective/Questions - The paper establishes the epistemic foundation of Islamic banks, well known these days to be productive and ethically performing financial institutions. This epistemic perspective takes the form of lowering the rate of interest; and thereby causing resource mobilization by complementing positively the monetary and financial resources with the real economy. Such an inter-causal relationship is shown to realize the objective criterion of wellbeing while also heightening the productive picture of the socio-economic system, which is the Islamic social economy in the absence of interest rate. Methodology - The methodology of the study is based on the pertinent Islamic worldview of unity of knowledge between the good things of life that are embedded in the dynamics of a learning inter-causal relationship. This methodological approach explains the imminent complementary nature of relationship between money, finance, and real economy of exchange in the ethically good and productive things of life while avoiding the unwanted ones. Major Findings - This paper is a rare one in the area of money, finance, and real economy inter-causal relations from the Islamic perspective of absence of interest. The paper thus becomes an analytical study for Islamic banks, central bank, and public and private sectors to formulate their thought and models along such imminent epistemic directions. Understanding how rural households in West Africa can more effectively reduce their conditions of poverty and increase their economic and social well-being has gained new importance and urgency as the region strives to address extremist violence and climate change, among other challenges. Impact investing – an intentional approach to allocating capital to deliver a blended financial and social return – seeks to convert economic gains into social outcomes over time, for individuals and their communities, within a complex set of economic, social and cultural systems. In practice, however, there has been relatively less attention paid by the impact investing field to household-level outcomes compared with enterprise-level or fund-level outputs. Designating the household as a prime unit of analysis for evaluating the results of impact investments encourages a more robust approach to evaluating impact. This approach enables the assessment of the results of incremental income from jobs and self-employment on indicators of the well-being of the household and its members. It also places the focus on the critical microlevel processes of households managing risk, creating opportunity, making decisions and allocating resources, all of which are influenced by power and gender relations. This approach also allows for a more holistic understanding how social impact is created and valued, while balancing the goals of accountability and learning. There is an opportunity to align these techniques and tools with common standards and indicators, adopt lean data practices, apply a gender lens, develop and test household scorecards, and creatively integrate a mixed methods approach.